Open – a word with many meanings. One of the questions I’ve been asked is what the word Open means in our title. There is an immediate association with Open Source software and while Open Source software is great there are many other ways something can be open. I’d like to talk about one of the more important ones – our data. 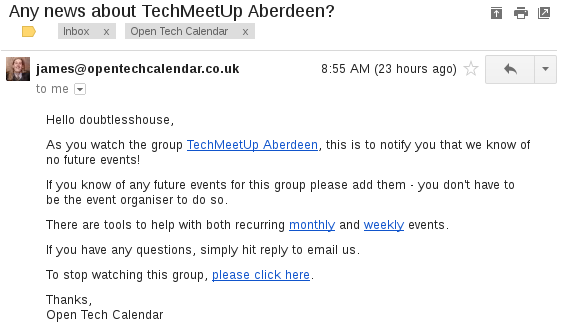 So that’s the first point to make: Open Tech Calendar is Open in that it lists events from any tech group. The second point is where we get this data from. 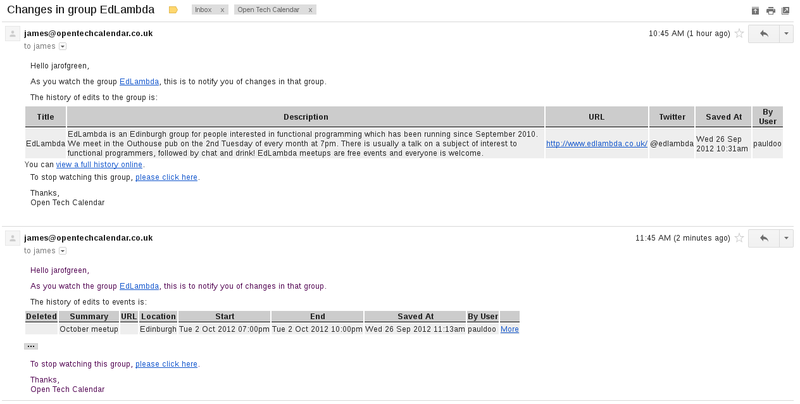 We embrace wiki principals in that any user can edit any event. We want to build a community of contributors. As an event organiser myself, I know how many little tasks you have to do and how easy it is to miss some. I spoke to one event organiser who hadn’t added half of their own events to their own website and was skeptical about this project – what can you say? Actually, what we say is that it could be any attendee or fan of that Meetup who adds events, thus freeing event organisers. That freedom leads nicely onto the third point; freedom for the event organisers from websites that try to take over their event. 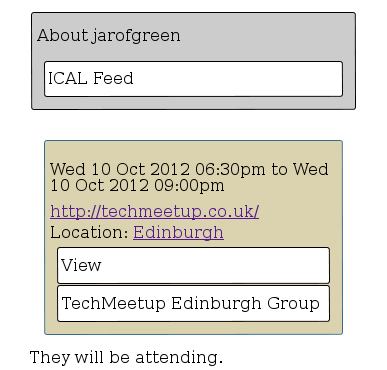 Websites like Meetup make you host your entire event on their site; email lists, members lists, events and who’s attending. While that’s great for some event organisers, its not for most. So the third point is that we are open in that we are a directory of information. We do not attempt to claim ownership of an event. 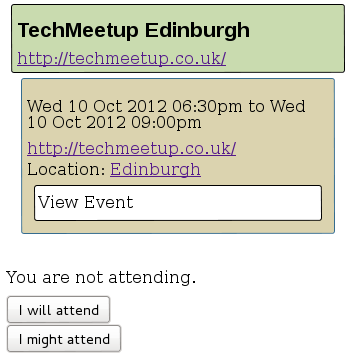 We are very happy to list an event but let you add links to the events real home, where ever that may be. And finally, all that lovely data is useless if users can’t get to it in the form that they want. We have iCal feeds coming out of our ears for easy export. Will all this work? We don’t know, and it will be very interesting to see. In the end of the day, we need complete and accurate data in a useable from for our users and maybe we’ll have to change as we grow. But I hope you’ll join us on our journey as we find out. Author jmbtechnologyltdPosted on August 17, 2012 Categories Our ManifestoLeave a comment on Open – a word with many meanings. One of the design decisions we took from the start is not to allow events to automatically reoccur for ever. Here’s why. We want to make sure that the data we publish is correct and up to date. This is essential; if users find significant amounts of bad data they won’t trust us anymore, especially if they had to find out painfully by turning up to an event that doesn’t exist anymore and sitting in a bar by themselves. If an event can reoccur for ever, the event could move or die out and it would still appear on the calendar. So that’s the simple reason why. No Zombie events! So at the moment you have to add each event individually, which honestly isn’t as bad as it sounds. Someone organising a monthly event can add a whole year in several minutes, and you can added specific details to each individual event like who the speakers are. Please get in touch or comment with any feedback. ps. Searching for Zombie photos on Flickr for this was far more fun than it should have been. Some great costumes. Actual one used is this one.